Despite various changes to Google+ over the last couple of years – which suggest that Google is downplaying the relevance of Google+ as a social media platform, it is still critical for local businesses to have a Google+ Business Page. As local and mobile search becomes increasingly prevalent, small businesses who rely on the local economy for their livelihood, must take steps to improve their online visibility visibility, or risk losing ground to those who do. Google links Google Plus with Google Search and Google Maps via the Google My Business (GMB) portal. 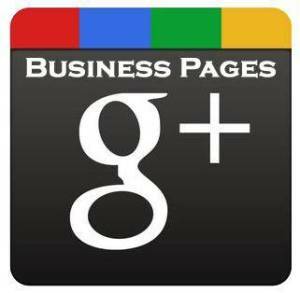 When you claim and verify your business listing using Google My Business, Google creates a Google Plus page for you. Users can show appreciation, give feedback with posts and reviews, and use the “+1” button to endorse your products and services. Users logged into Google, who conduct a local search (E.g., restaurants Camp Hill), will see a list of local businesses appear among the top returns. Although you will probably see little activity on your Google Plus page, there are ways to you can use it to your benefit. Claim and verify your Google My Business listing. A vital first step, GMB is the gateway to getting your business ranked in local search. Get a Virtual Tour. If you have a physical business that is open to the public, a virtual tour is an awesome way for them to visit your business online. It encourages a physical visit, increases the likelihood of your business coming up in local searches, and can also be embedded into your website. Link to Google Plus from your website. Anyone interested in leaving a comment can use the link to gain access. It may also help you pick up a few followers. Post to your G+ page. If you’re already posting to Facebook and Twitter, add Google Plus to the list. Don’t expect much attention from followers, but searchers may find one of your posts appearing in Google search results. The more you post, the greater the likelihood that will occur. Remind your customers to leave feedback. This can bolster the number of reviews you receive, which can help your business stand out from sites that have fewer reviews. The future of Google Plus is in flux but so long as Google ties the platform to Search and Maps, it’s important to have a presence there.